Wallett's Court Country House Hotel - Hotel Hotel Westcliffe, Dover CT15 6EW. Wallett's Court Country House Hotel - Hotel, Westcliffe, Dover CT15 6EW. Wallett's Court is an ancient country house hotel nestling in wild open landscape in the heart of White Cliffs Country, a 90 minute journey from London and 10 minutes from the port of Dover. Dream of times gone by as you climb the Jacobean staircase to one of the 3 four-poster bedrooms in the centuries-old manor. Stroll across the courtyard to one of 14 contemporary rooms housed in converted Kentish hay barns, stables and cowsheds, surrounding the grand old house. Enjoy breakfast in the conservatory, the library or in bed, take lunch in the lounge by the fire in winter or in the garden in summer and dine in the oak-beamed 2 AA rosette restaurant in the evening. Chill, feel alive, de-stress, shine and glow with a massage or beauty treatment in your own cabin in the woods on the edge of the grounds overlooking the rolling hills. Walletts Court really is the perfect hotel in which to stay if you are touring Kent, starting your cruise or continental holiday early or just spending some time relaxing in luxurious surroundings. 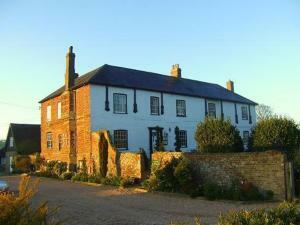 Hotels in Dover: Wallett's Court Country House Hotel - Hotel, Westcliffe, Dover CT15 6EW. Hotels in Dover, B & B's, Serviced Apartments, Accommodation in Dover with last minute deals and late room discounts.